NEW YORK, NY – (December 15, 2012) – Pernod Ricard USA®, the premium spirits and wine company in the U.S., is proud to announce that Becherovka® was awarded the only Gold Medal in the liqueur category at the New York International Spirits Competition (NYISC). In its 2nd year, the New York International Spirits Competition (“NYISC”) was held on October 16th in New York City. Over 30 countries submitted more than 300 of the world’s best-selling spirit brands to be tasted, evaluated and judged by a hand-selected panel of A-List and key TRADE ONLY judges. The distinguished panel of judges includes buyers, retail storeowners, restaurant/bar proprietors, distributors and importers – those that have the unique ability to make a direct impact on sales. 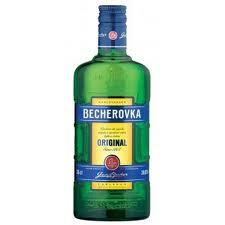 Becherovka, a bitter herbal liqueur that hails from the Czech Republic, was born in 1807 out of Josef Becher and Christain Frobrig’s quest to create the elixir of life. The Czech apothecary and English-born physician blended more than 20 exotic herbs and spices with aromatic oils, alcohol, and mineral-rich water from Karlovy Vary to create the distinct golden amber liqueur. The recipe has been passed down and closely guarded through generations of the Becher family and is known today by a handful of individuals. Pronounced “beck ur OHV kuh”, the distinctly flavored liqueur was recently reintroduced by Pernod Ricard USA to the U.S. market in April 2011.